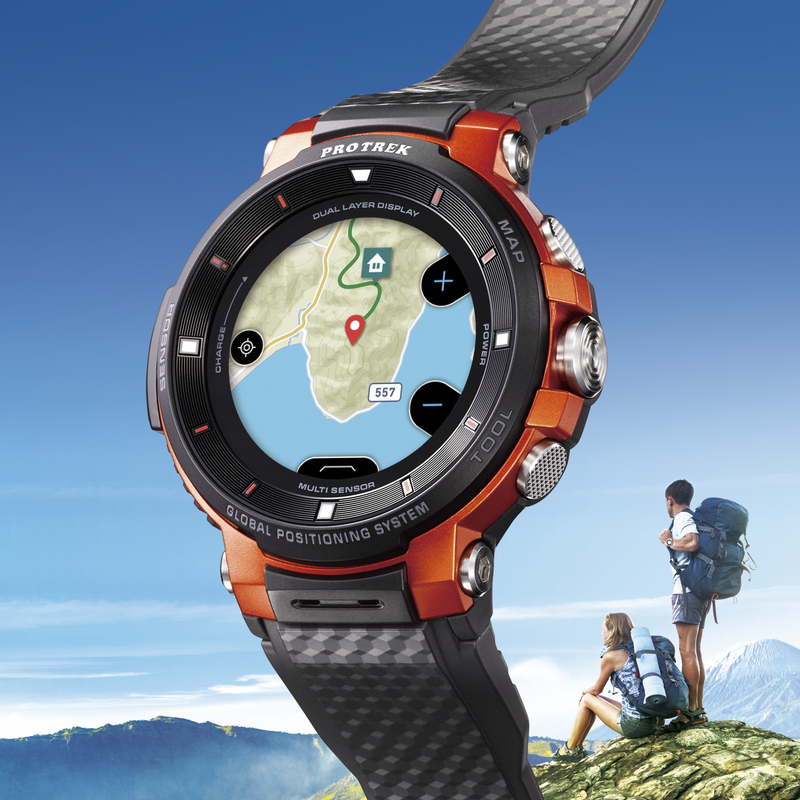 DOVER, NEW JERSEY, November 29, 2018 -Today, Casio America, Inc. Casio America, Inc. announced today that it has set a January 18, 2019 release date for the PRO TREK SMART WSD-F30 smartwatch for outdoor enthusiasts. The original announcement of the WSD-F30 caused a stir and captured eight awards this summer at IFA 2018, one of the world’s largest trade shows for consumer electronics and home appliances. In addition to its water resistance up to 50 meters, military specification construction, and offline map functionality, the promised WSD-F30 received strong praise for its proprietary energy-saving mode using a new dual-layer monochrome and color display. Casio also announced a partnership with Bikemap, the world’s biggest cycling map app. Now, PRO TREK Smart owners can use the Bikemap app to download maps and routes in advance to their smartwatch. Cyclists can then enjoy access to useful information maps and routes from the wrist, even when offline and not connected to a smartphone. The WSD-F30 automatically synchronizes with the Bikemap app to save records of cycling activity, including information such as the route, speed, distance, and time. Moving forward, Casio and Bikemap will actively promote each other under the partnership.